Very rare and nearly impossible to find, beautifully remodeled home. Designed to delight! There are no steps/stairs in this one level home. 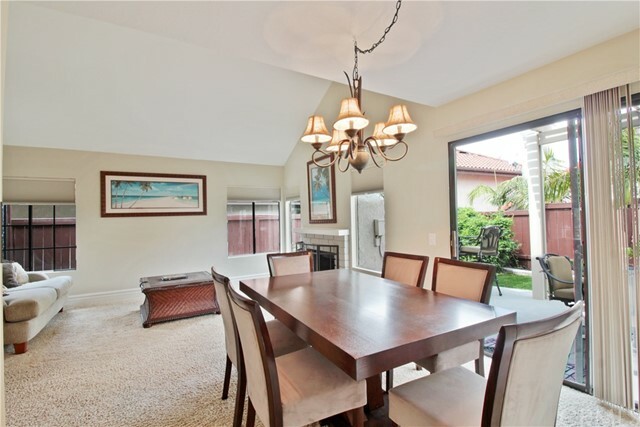 This spectacular single story view property has been beautifully remodeled! Are you looking for a very special place to call home? Look no further. This home is for the discriminating buyer! You will never tire of this open floor plan and breathtaking view. Your open living space is ideal for gatherings of friends and family around the cozy fireplace. The extra large master bedroom is one of relaxation as you enjoy the new carpet, designer paint, and a gorgeous master bathroom! Separate office area behind barn doors with a large skylight ceiling. Go directly from your 2-car garage into the laundry room. The windsor terrace association offers a pool, spa, and tennis courts. 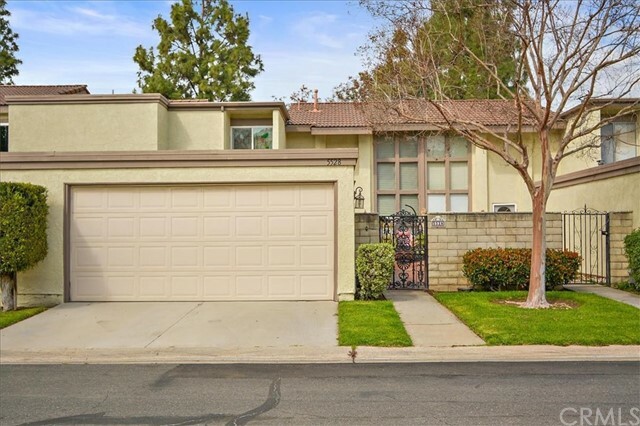 Great neighborhood with good schools, close shopping and easy access to the 91,57, 55,22, and the 241 freeways. Please put this gem on your must see list immediately! Absolutely tempting! 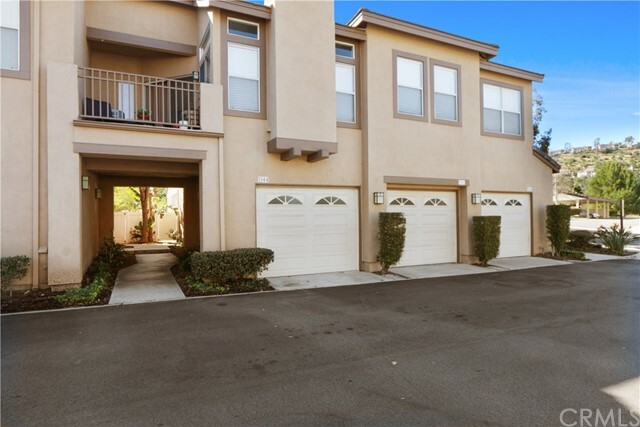 Come view this irresistible 2 bedroom plus den home in the oh-so desirable community of king’s meadow! 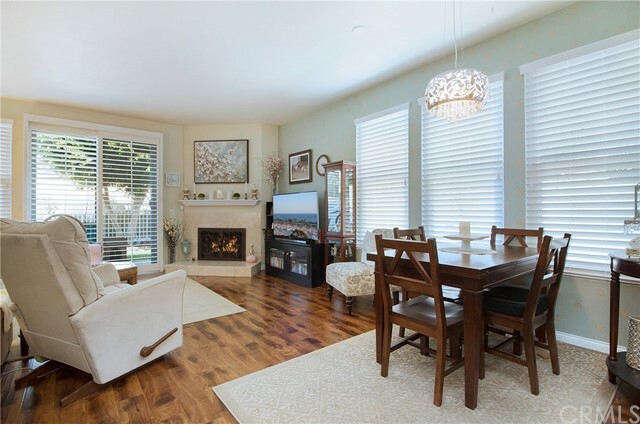 Your chance to own in the sweet spot of anaheim hills, three factors make this a rare find: 1) the free-flowing design is ideal for entertaining, 2) you can move easily between the indoors and outdoors, and 3) there’s little yard maintenance. Swing open the front door and the first thing you notice is the natural light that spills out in every direction…into the den…into the living area…in front of the fireplace…all the way through the dining area…and onto the breakfast nook and kitchen. The layout of rooms is very well thought out here. One reason the design flows so freely is that all bedrooms are upstairs, keeping the downstairs neater. The master bedroom’s size is impressive, but wait until you see the vaulted ceiling and en suite bath. The other bedroom continues to impress - nicely sized with good closet space. The kitchen includes enough storage for a chef, granite counters, and stainless steel appliances. If you enjoy entertaining, have friends pull up a bar stool and pour them a glass of wine while you put on a cooking demonstration. Start weekend mornings on the patio with a cup of coffee and ipad. If you crave a counterbalance to the frenetic pace of work and family. Let this be your sanctuary. Enjoy nearby walking trails, biking trails & nature. 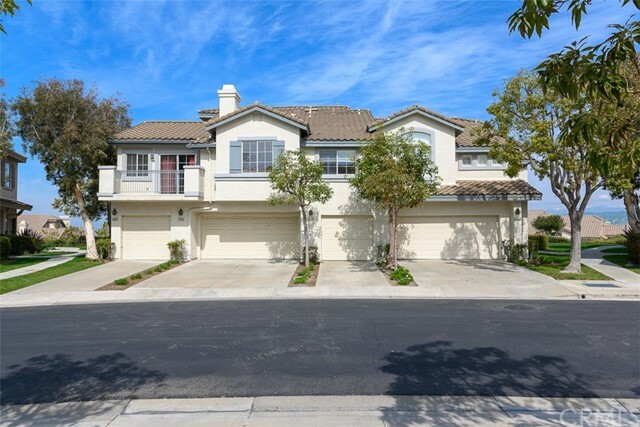 Other extras include 2 car attached garage and laundry. Close to schools, shopping & restaurants. Listing Agent: Karin Aguilar Listing Office: Showcase Agency, Inc. Enjoy spectacular city lights and sunset views from this upgraded two bedroom plus loft, two bath home in viewpointe north. The upgraded kitchen with a built in breakfast bar has granite counters, travertine flooring, stainless steel appliances and is open to the family room with a stone fireplace. The dining room is adjacent to the kitchen with a built-in granite topped buffet which provides additional storage and has space for a wine refrigerator. 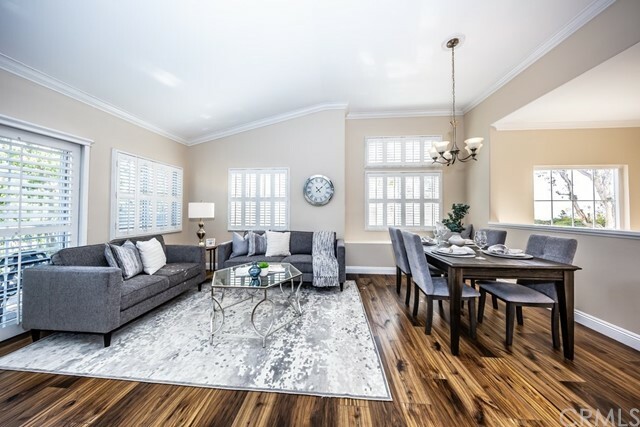 Cathedral ceilings and abundant windows make this living area very light and bright. Sliding glass door in the family room open to the large view balcony. There is an oversize loft above the family room with ceiling fan, built ins and storage, that can be used as an office, game room, additional bedroom, or gym. The master bedroom with ceiling fan has a slider that opens to another balcony and the master bath has granite counters and dual sinks. There is an inside laundry closet that can accommodate full size washer & dryer. 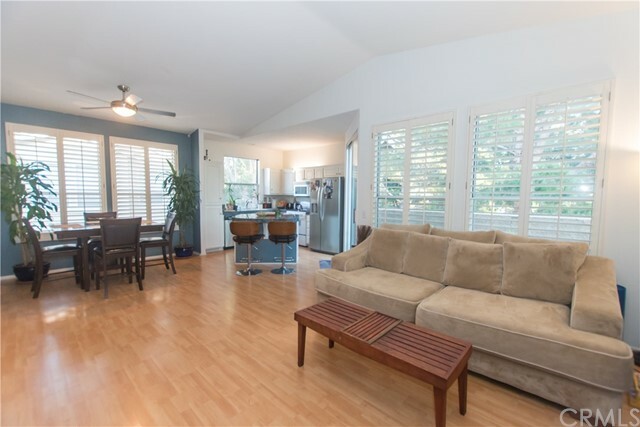 The home has wood flooring in the living areas and plantation shutters. There is a 2-car attached garage with direct access to the home that has epoxy coated floors and built-in storage cabinets. This a gated community with pools, spas, and clubhouse. 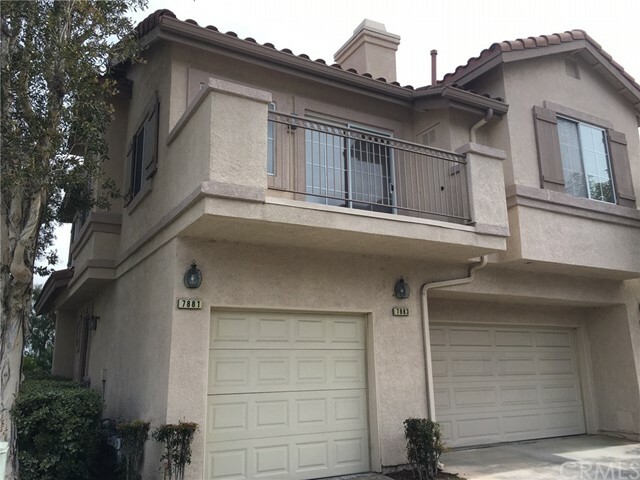 The community has lots of greenbelts , trees and plenty of guest parking.